The three Elbe Castles are located on the Elbe hillside in Dresden. They are called “Albrechtsschlösser” by the public and are part of the World Cultural Heritage Elbe Valley (2007 – 2009). Each of the three castles is nice to look at. The three castles can be found about 3 kilometres upstream from the city centre, near the bridge “Blaues Wunder”. Castle Albrechtsberg, Ligner Castle (Stockhausen Palais), Eckberg Castle. The parks around Castle Albrechtsberg and Lingner Castle are open to the public. Lingner Castle, or Stockhausen Palais, was built for Chamberlain Baron Stockhausen by Prince Albrecht. Due to marrying outside of his social class, Stockhausen needed a new residence outside of Prussia. Geographically, the castle marks the centre of the World Cultural Heritage Site Elbe Valley in Dresden (2007 – 2009) and was made the headquarters of the World Cultural Heritage Site. The view from the terrace is great. 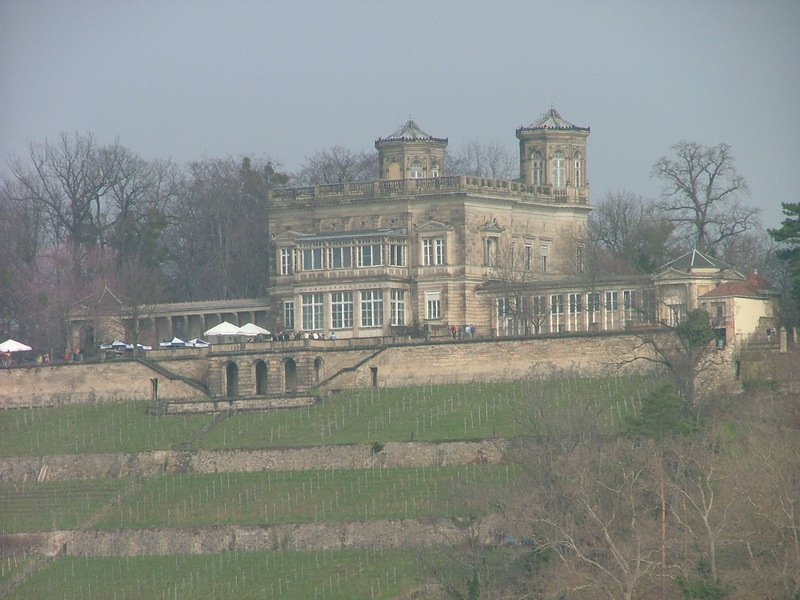 The classicistic castle was built on a vineyard between 1850 and 1853. A park was designed to surround it. Karl August Lingner, an entrepreneur from Dresden bought the castle in 1906 and had it completely redecorated. He even started a zoo on the premises. A special feature of the castle was his private overhead railway down into to valley. The summit station still exists today. Before he died in 1916 he added a paragraph to his last Will and Testament that explained that the castle should be donated to the city of Dresden. He ordered that the people should always have free access to the park and the castle and that a café was to be set up in the main building that should always have the lowest prices for drinks and food in the area. The building was empty for many years after the Second World War and restoration works were not started until 2004. A restaurant was opened in the East Wing of the building which offers an alcoholic beverage for only 75 cents. Eckberg Castle with its extensive parks is one of the three Elbe Castles. This Neo-Gothic castle was built for an entrepreneur by the name Souchay between 1859 and 1861. He had bought the Eckberg vineyard in Loschwitz and now wanted to reside there in style. While he had his castle build he also had 15 hectares of the vineyard transformed into a park. After the building had changes hands a lot it was finally bought by a company from Munich, ARGENTA, in 1994. The transformed the castle into a luxurious hotel. 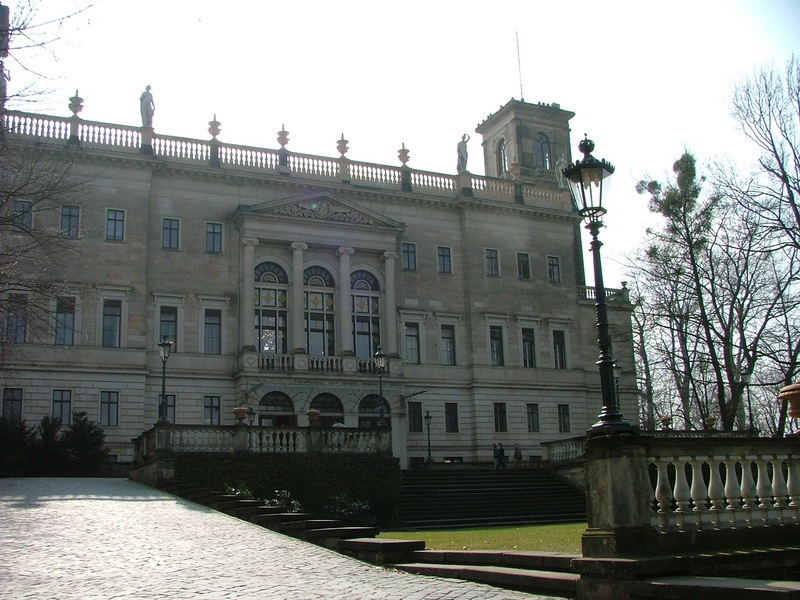 Prince Albrecht of Prussia commissioned this castle in 1850. 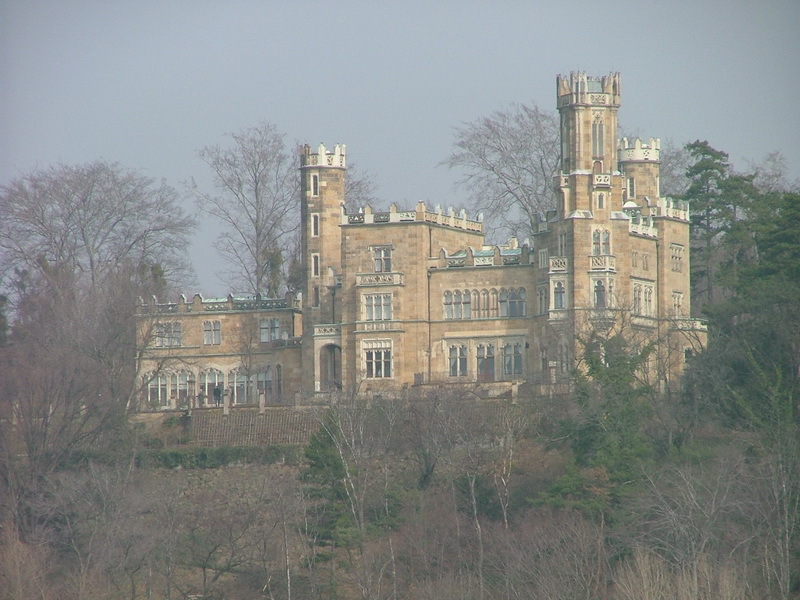 Until 1854 a castle that resembled a Roman Residence in Renaissance style. It was bought by the city of Dresden in 1925 and the complex is now used as a venue for events and congresses. A hotelier school moved into the building in 1991.